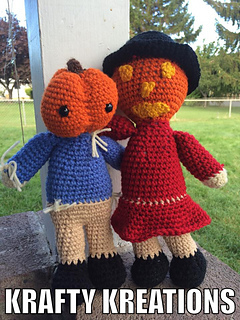 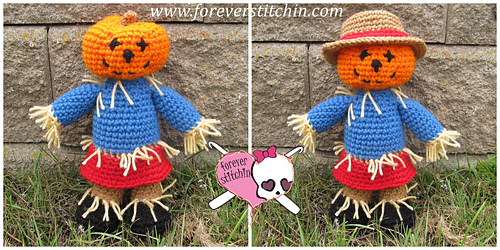 This pattern includes instruction for both female and male versions of the “Scarecrow”! 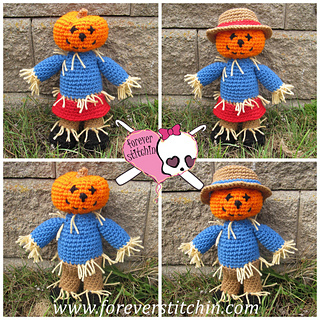 The completed character will stand approximately 12 inches tall. 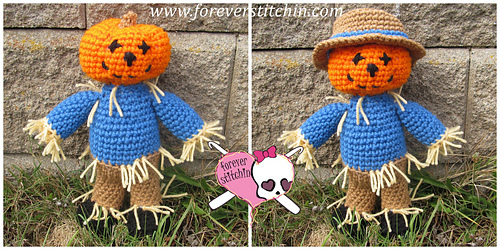 You will need 2 colors, Straw Color and Black yarn, optional: 2 12 mm post eyes, I/5.50mm crochet hook and a tapestry needle to complete this pattern.